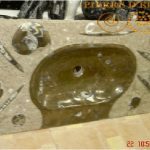 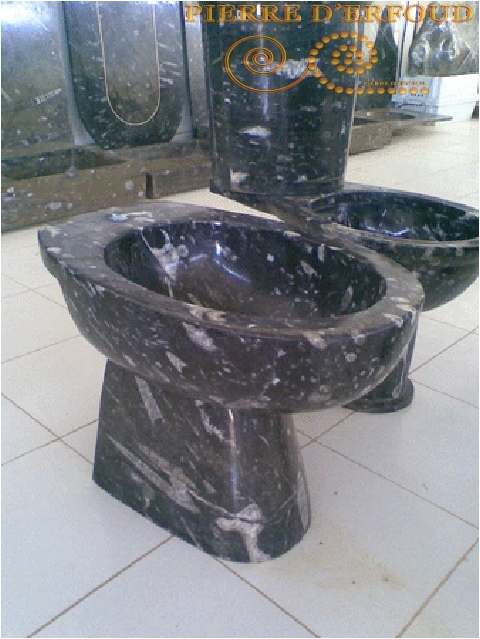 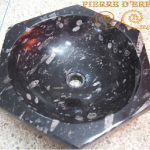 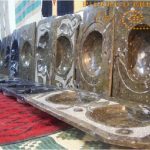 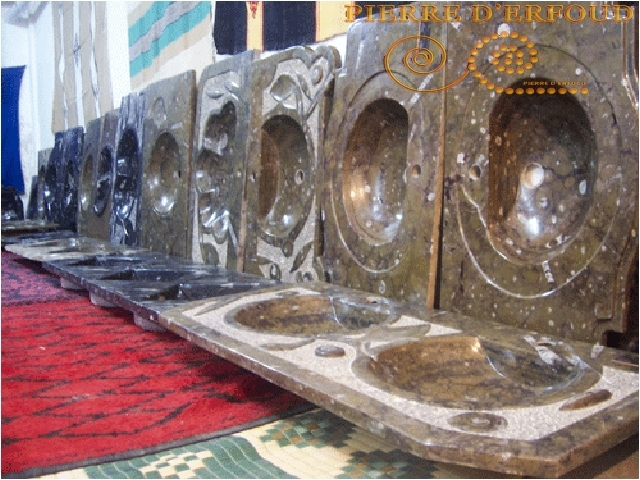 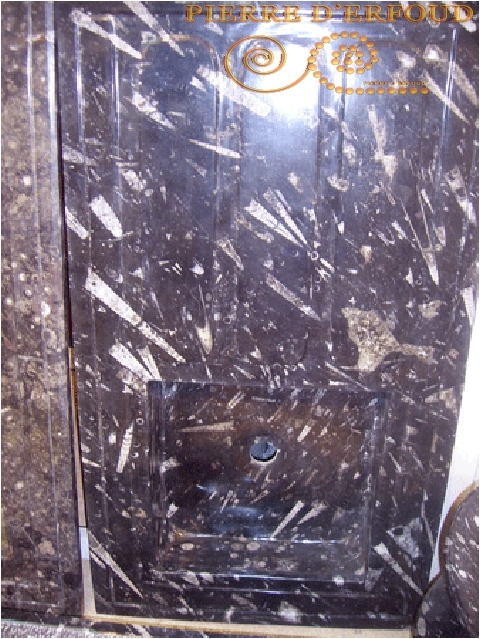 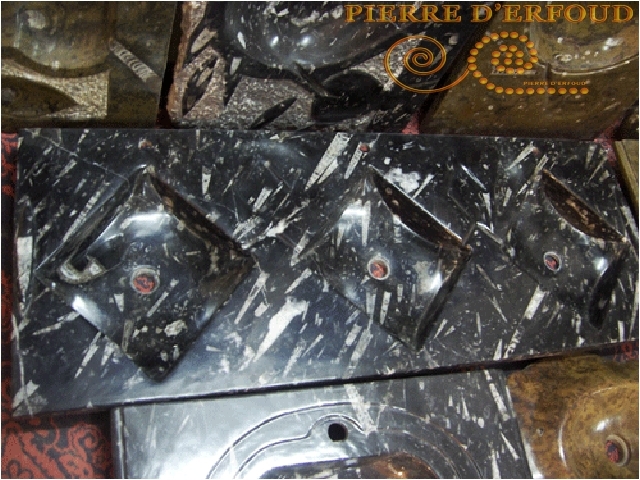 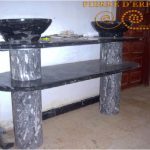 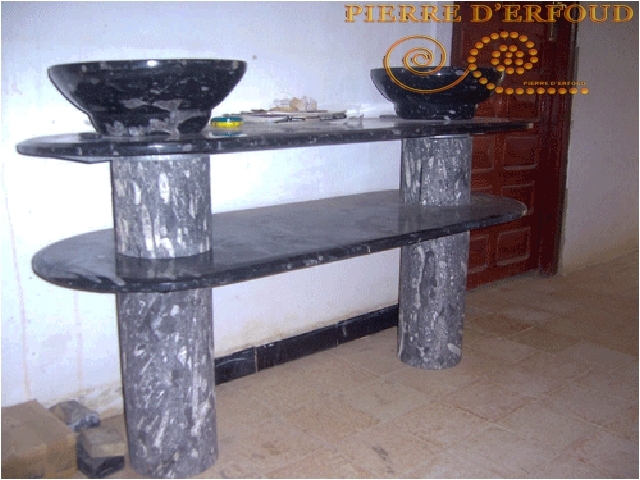 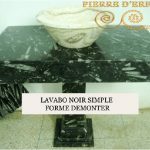 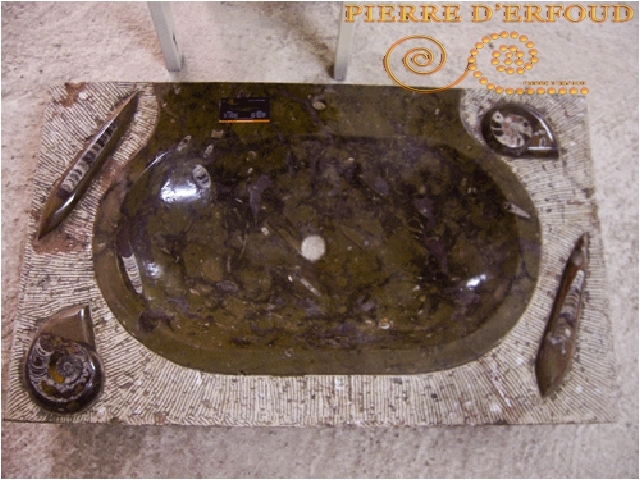 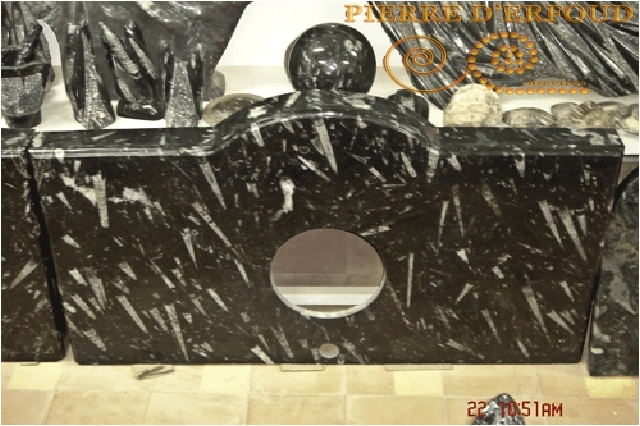 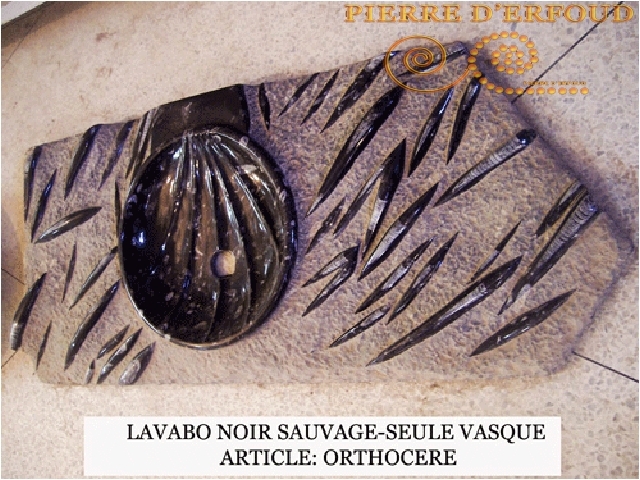 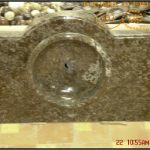 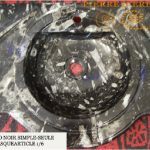 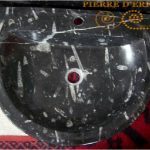 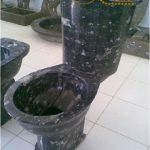 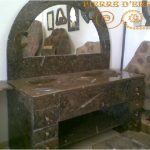 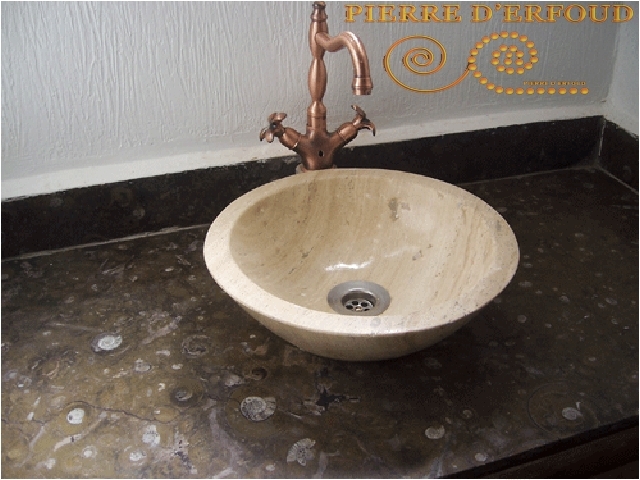 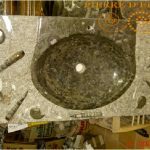 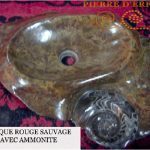 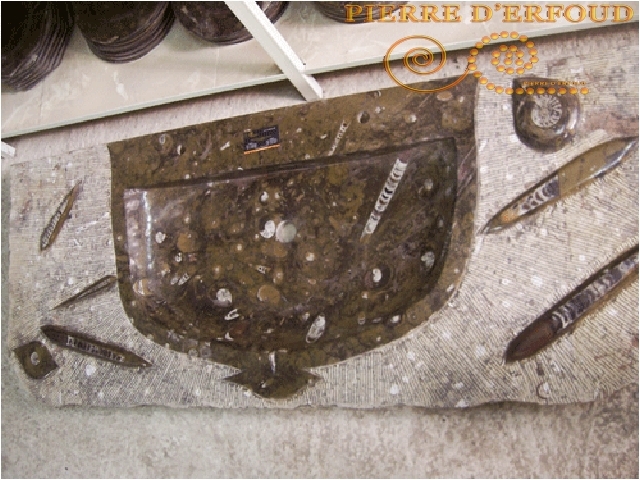 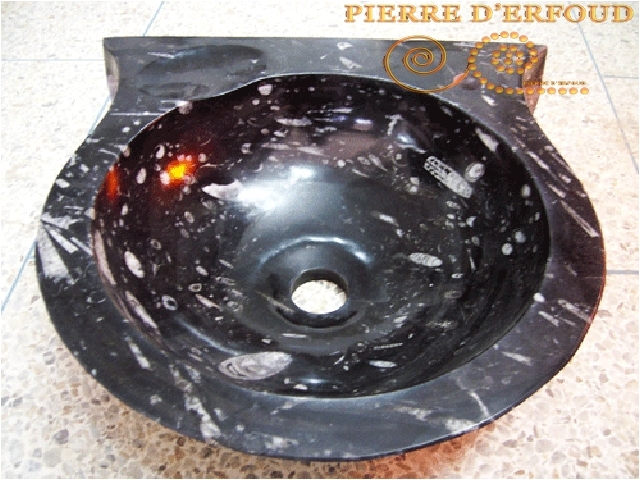 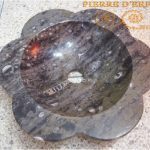 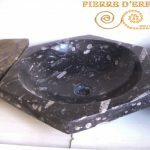 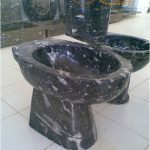 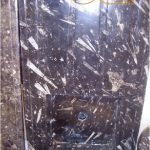 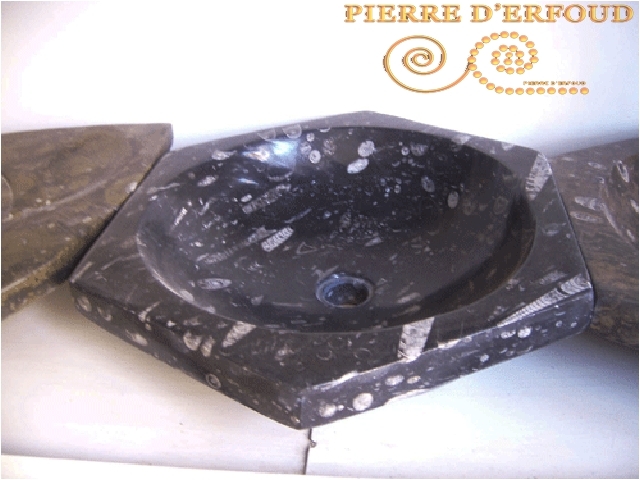 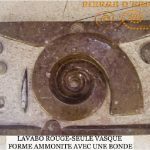 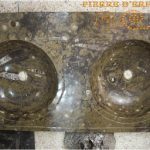 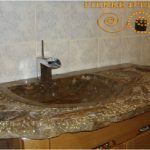 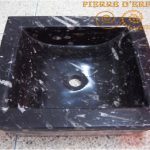 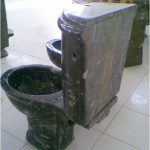 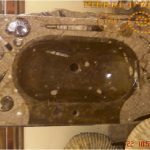 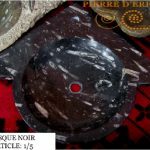 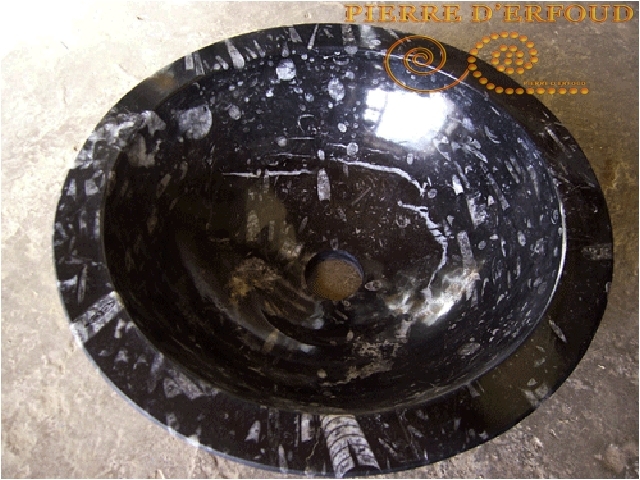 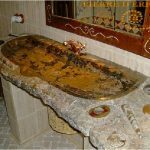 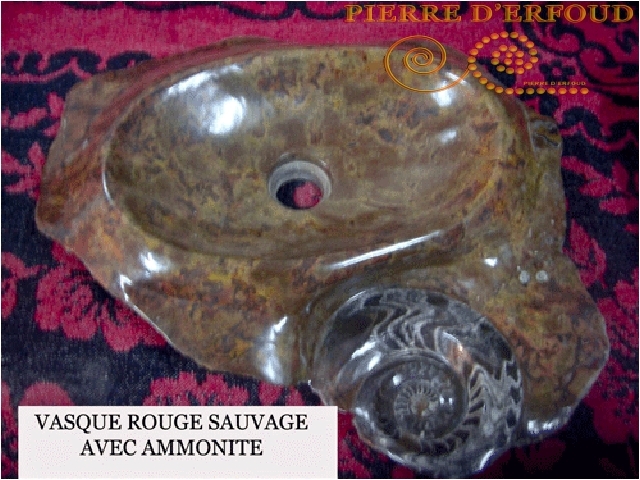 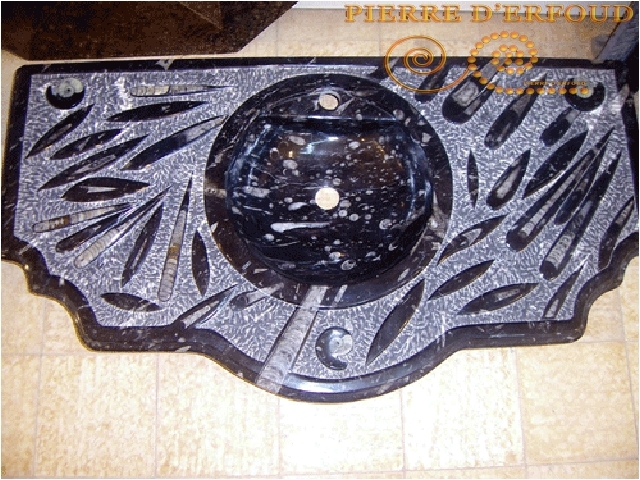 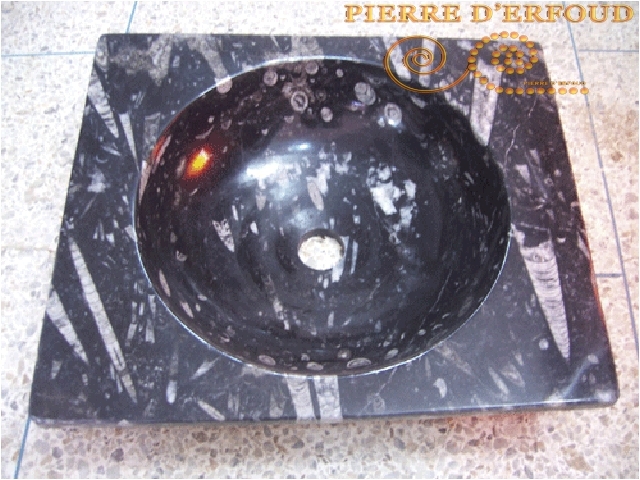 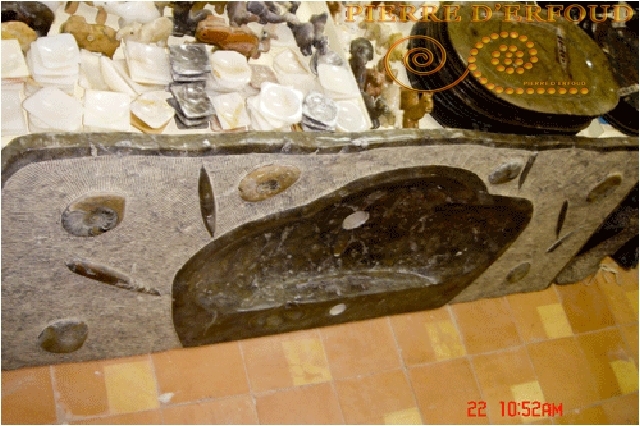 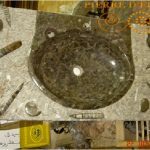 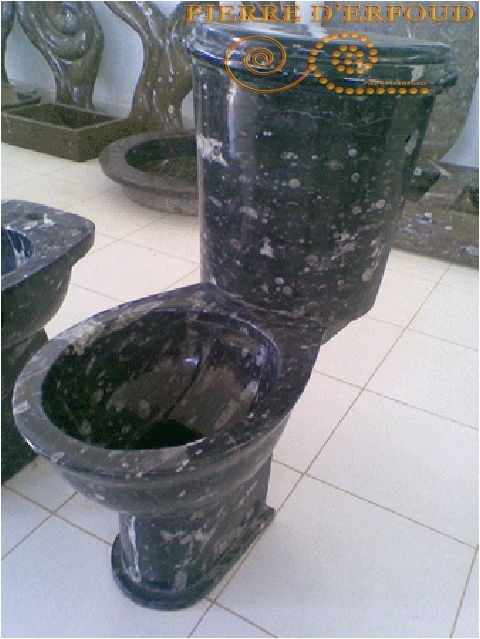 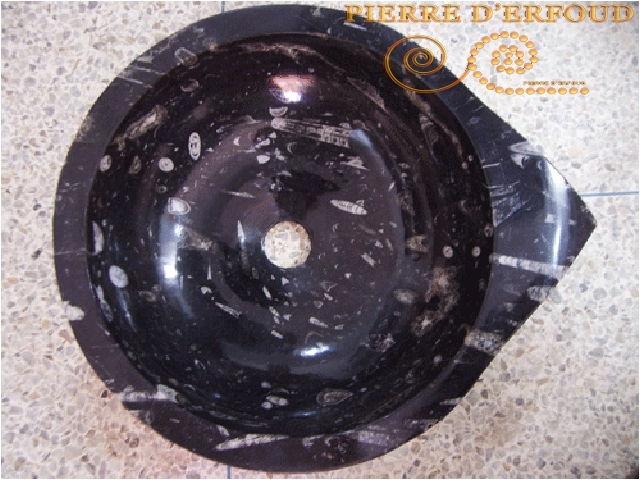 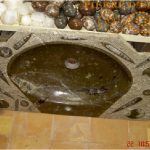 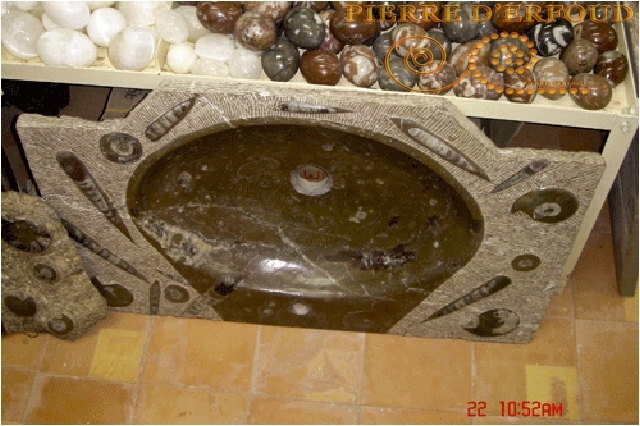 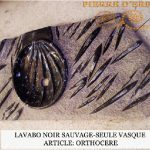 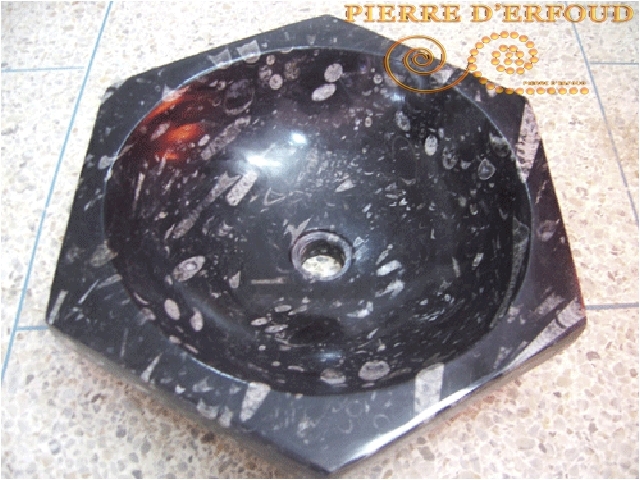 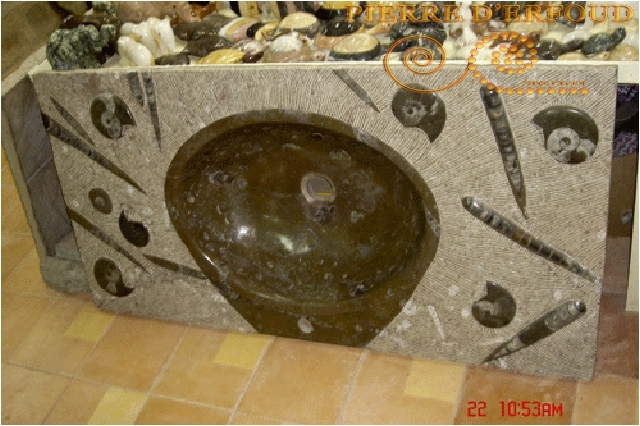 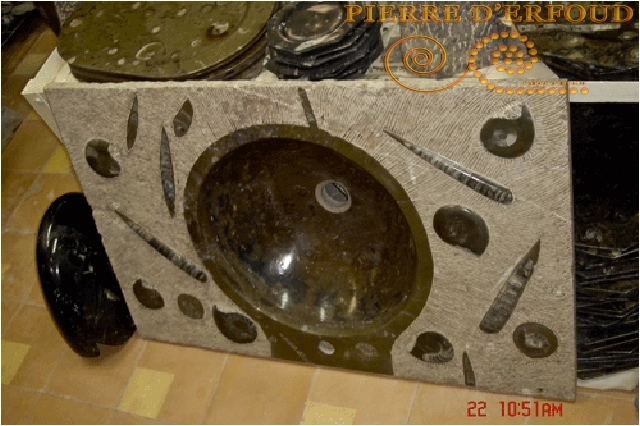 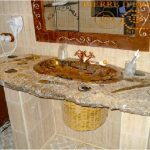 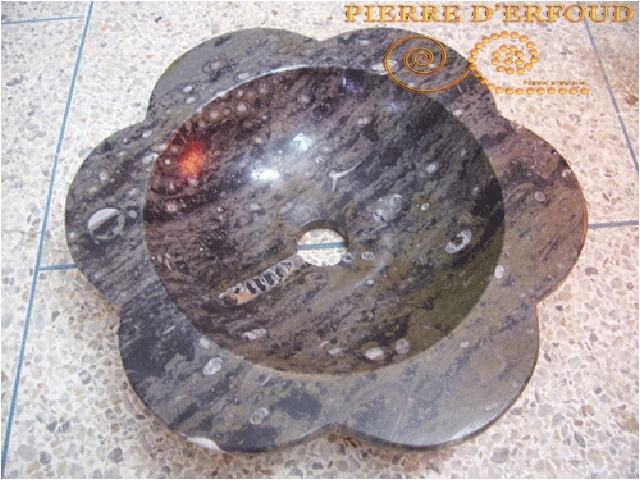 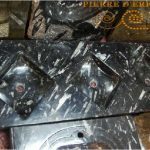 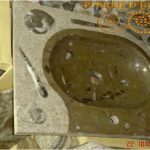 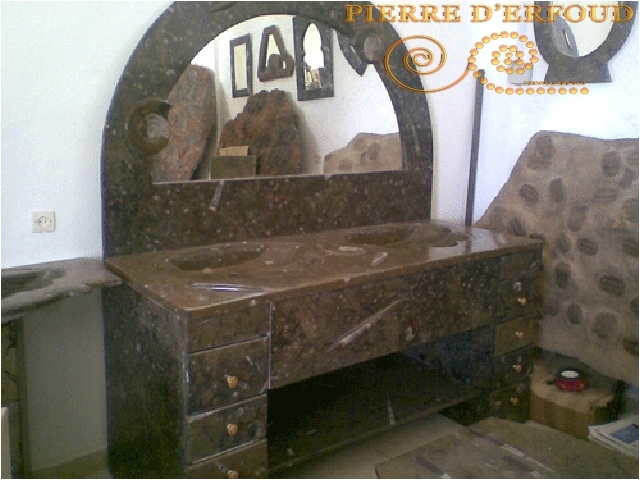 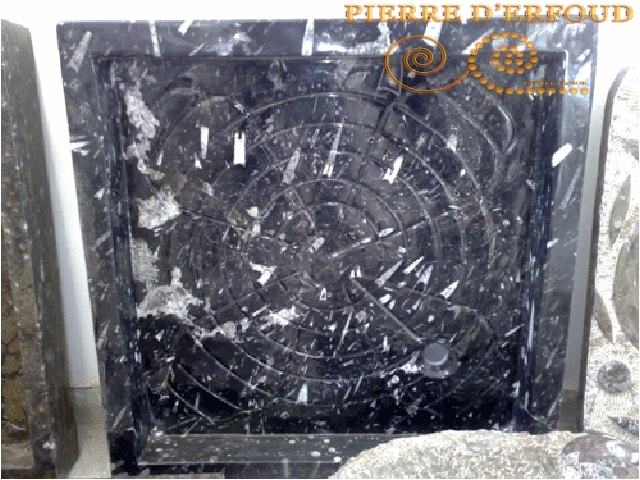 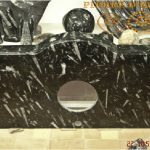 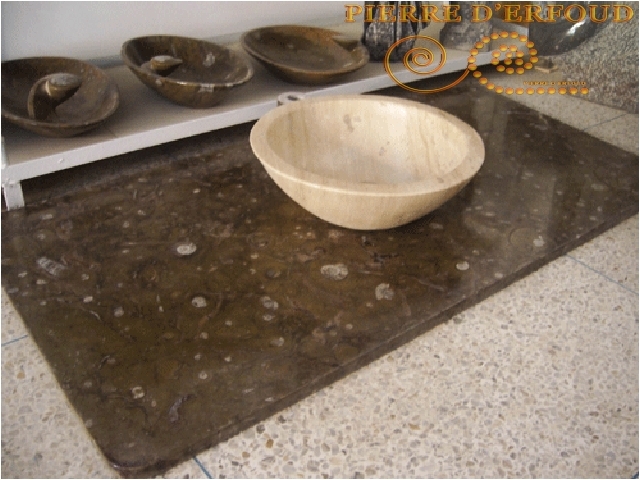 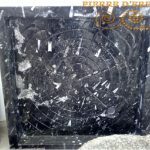 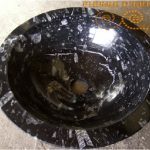 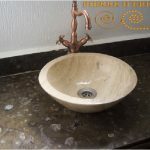 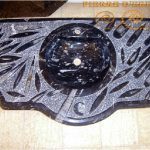 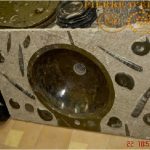 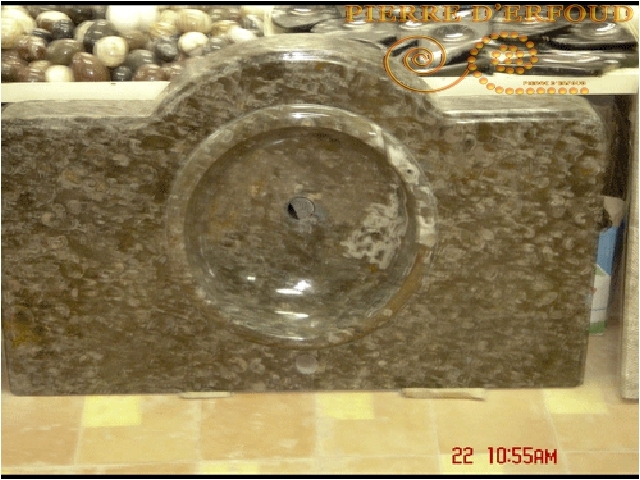 Full range of fossilized marble bathroom products, paving and cladding of a bathroom in black and brown marble. 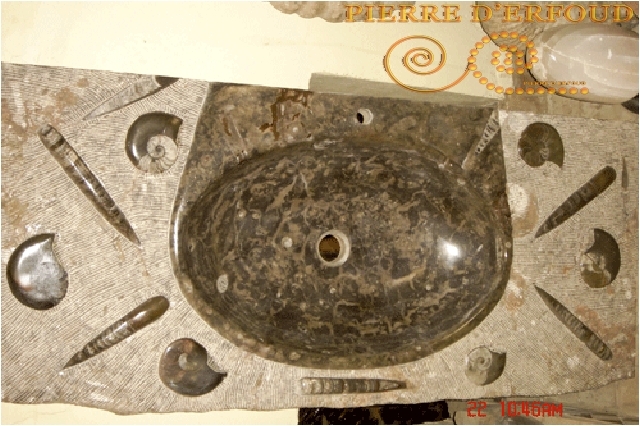 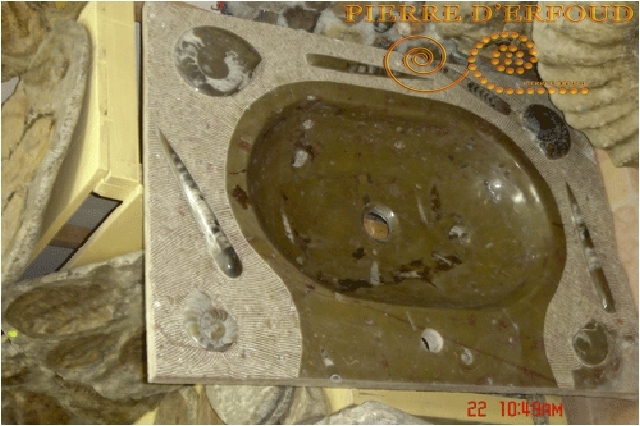 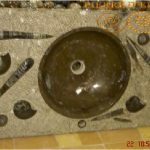 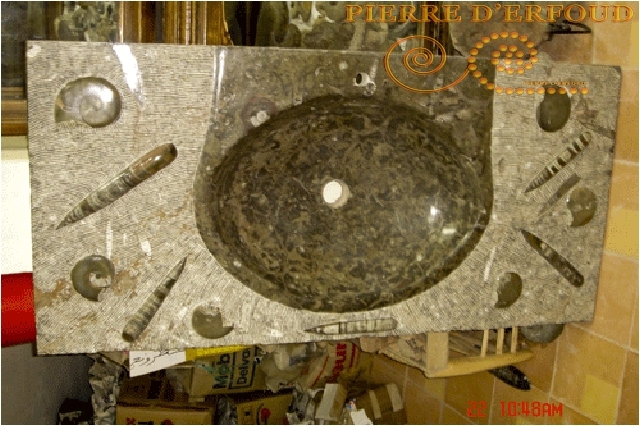 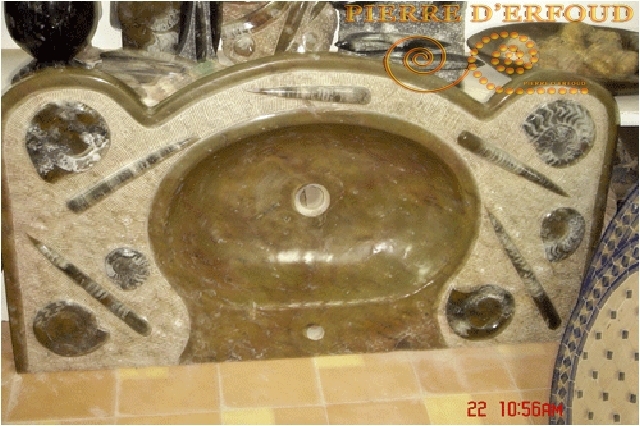 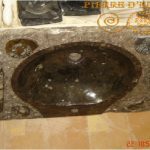 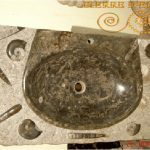 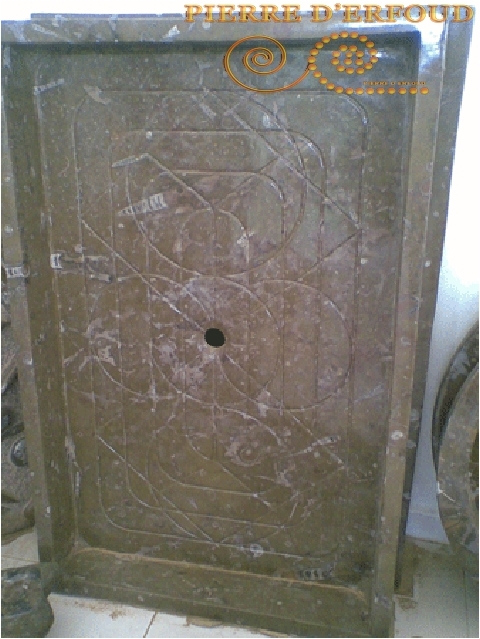 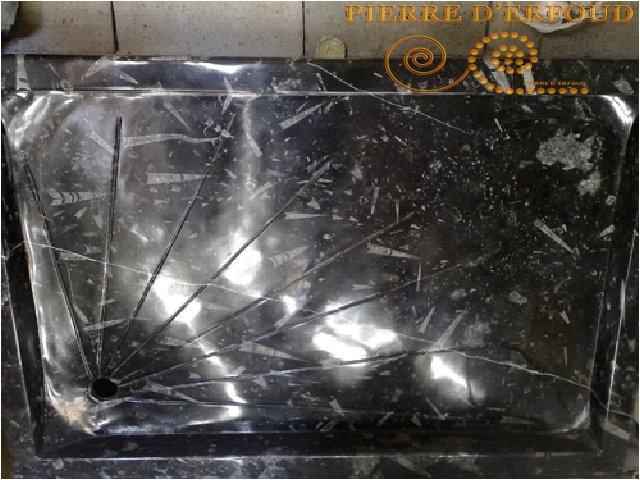 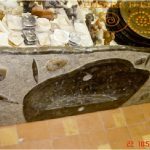 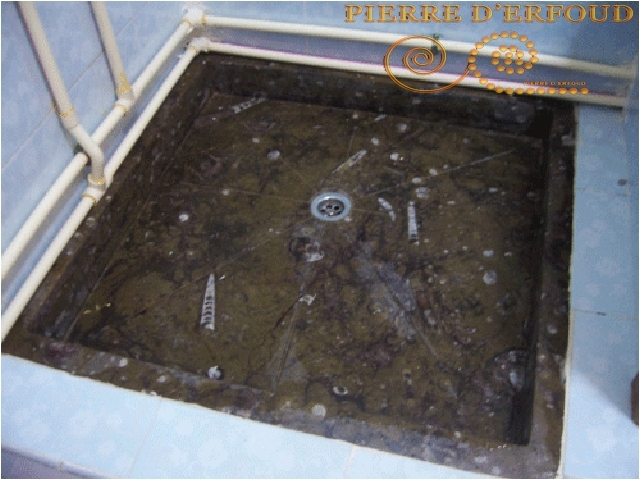 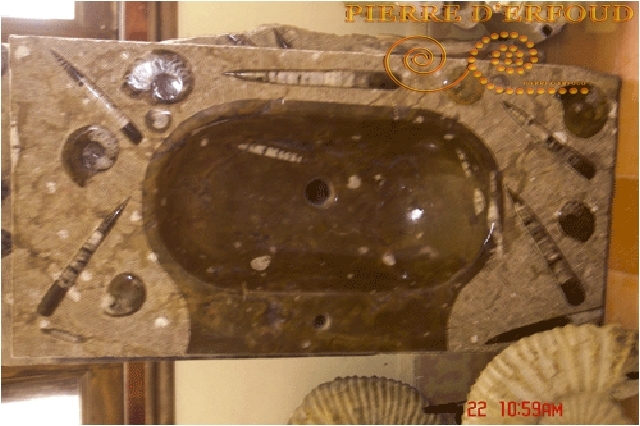 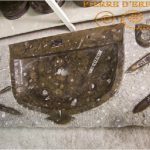 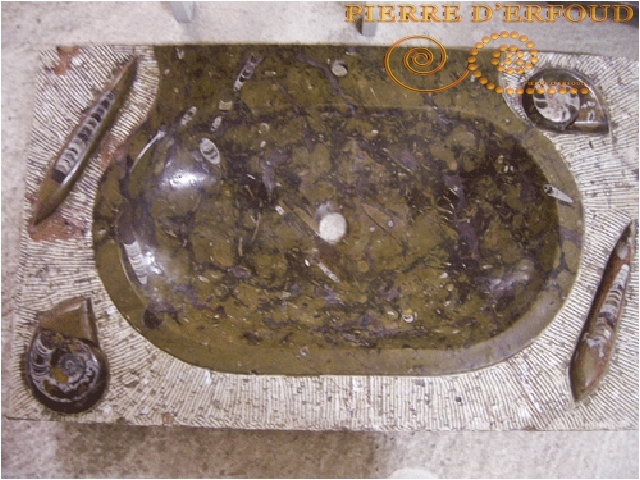 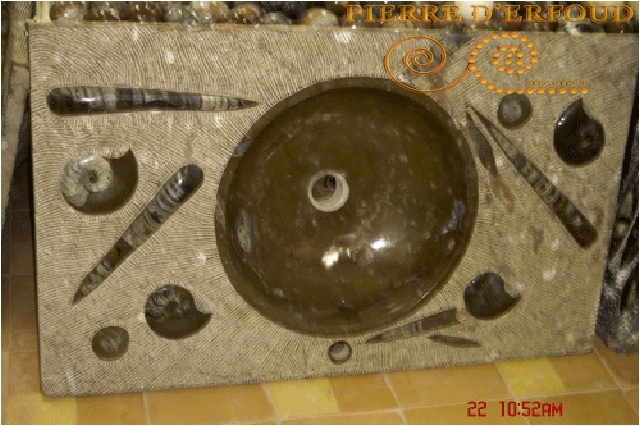 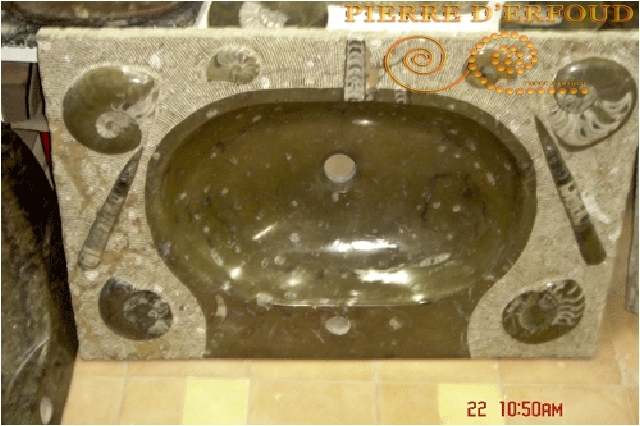 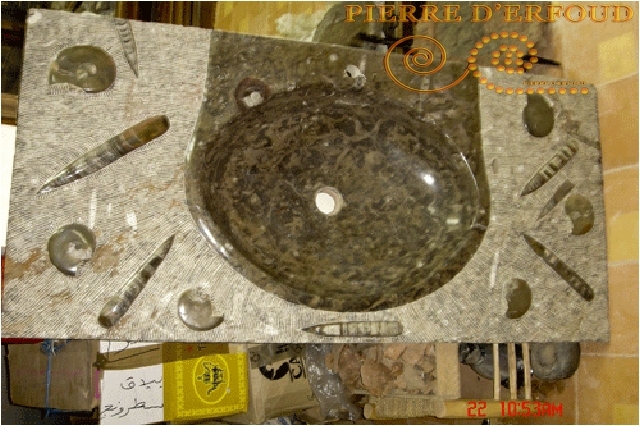 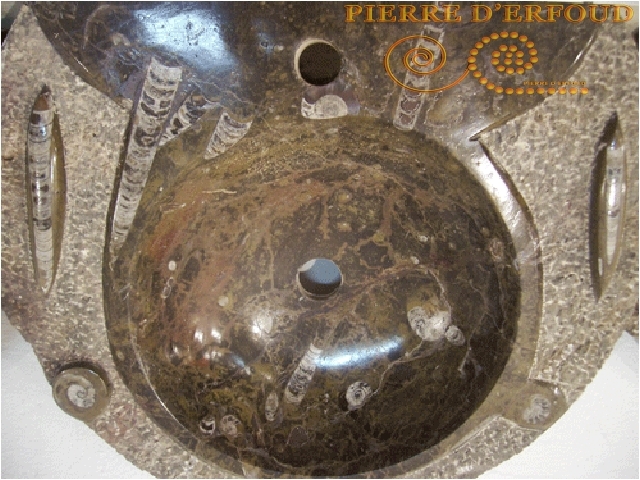 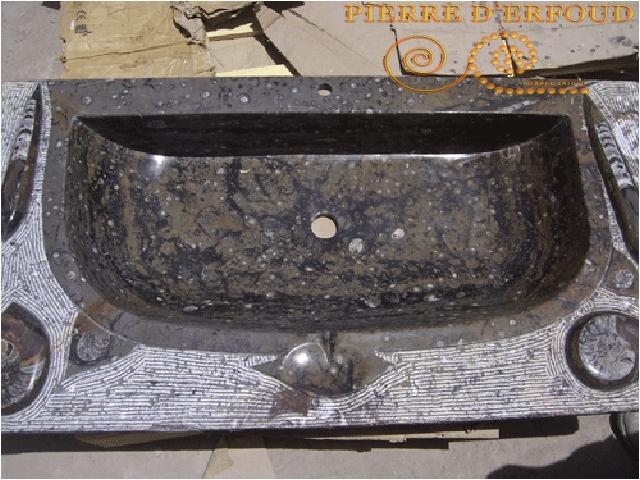 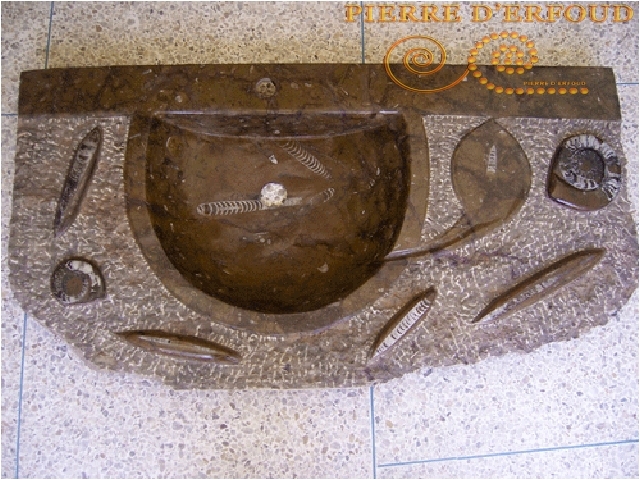 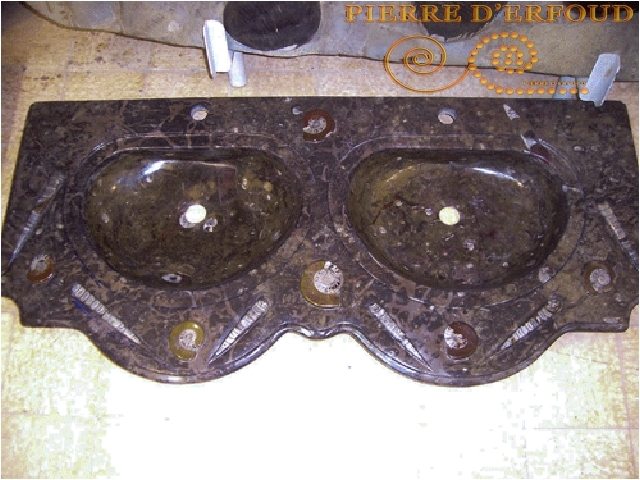 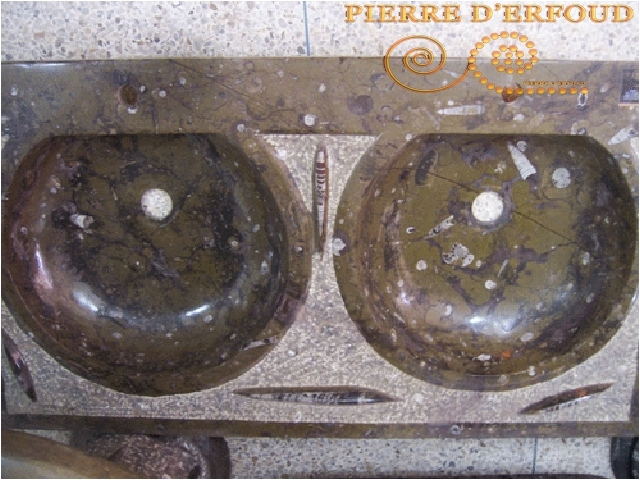 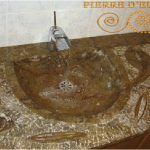 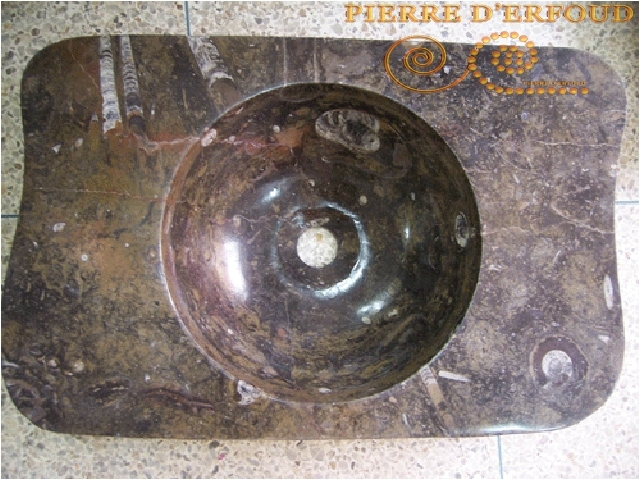 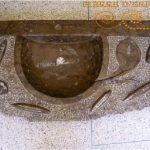 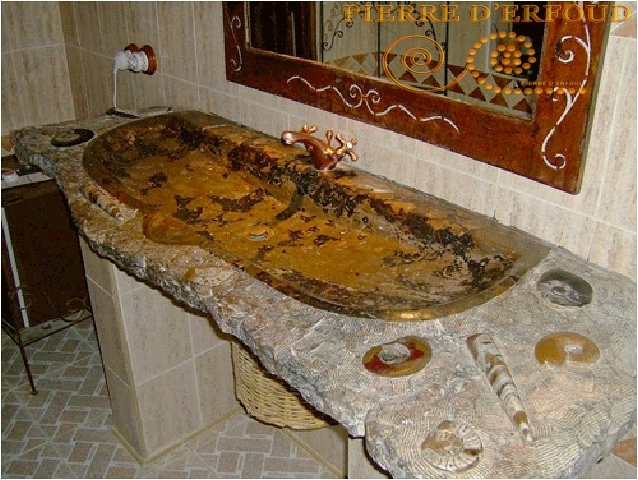 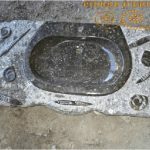 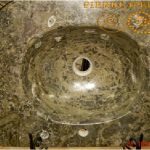 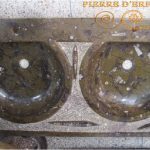 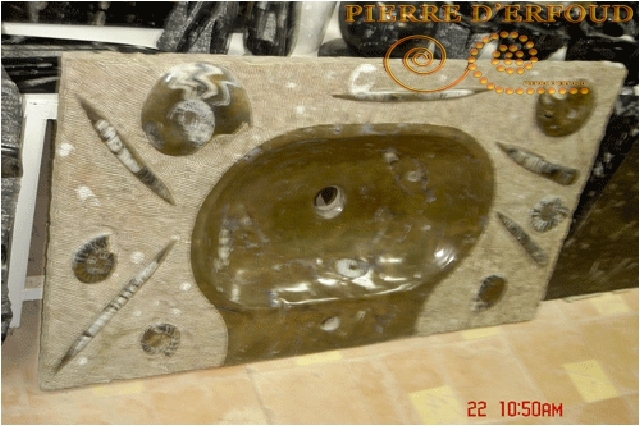 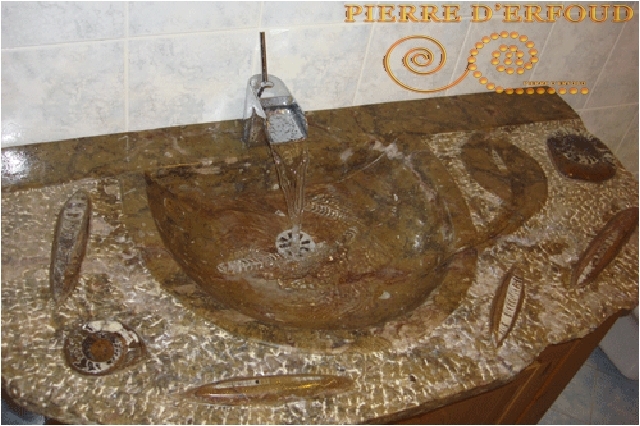 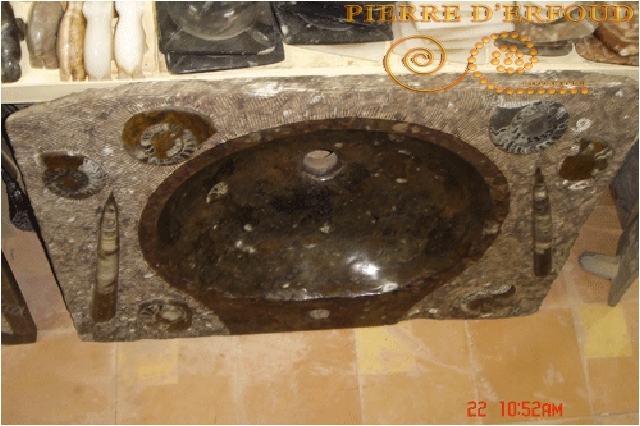 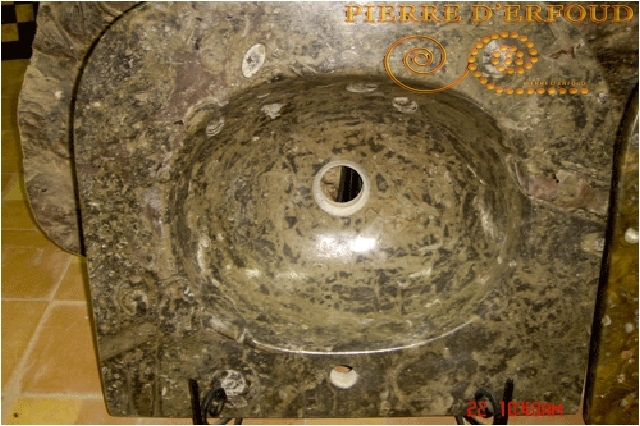 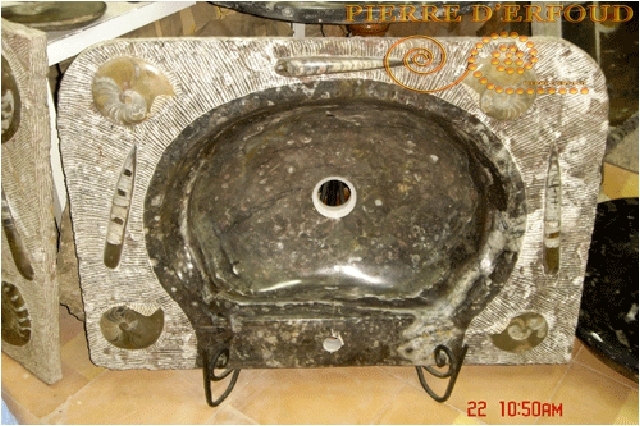 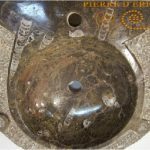 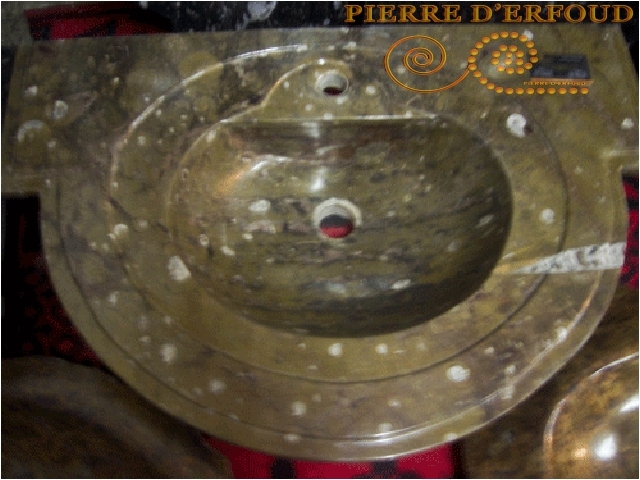 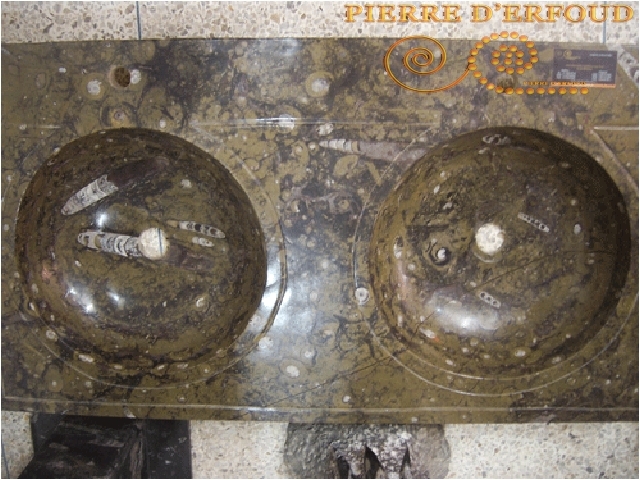 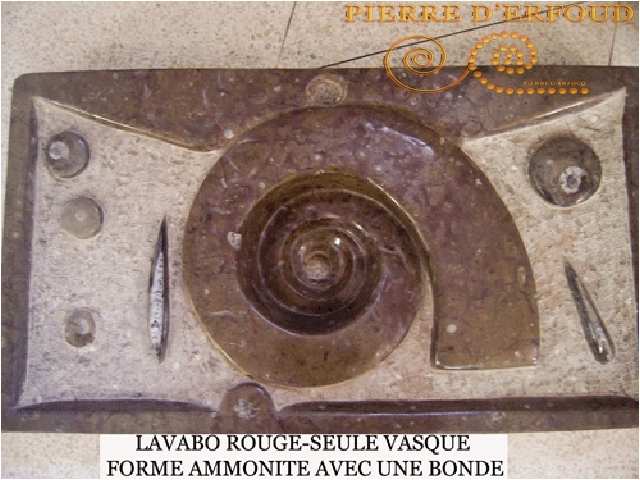 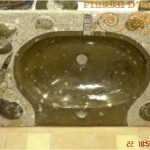 plan of basin and sink, wall cladding, shower tray and marble wall panels fossilized black and brown. 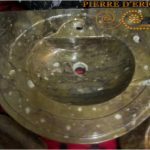 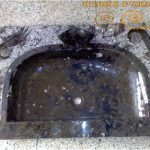 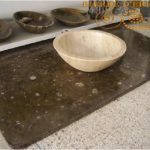 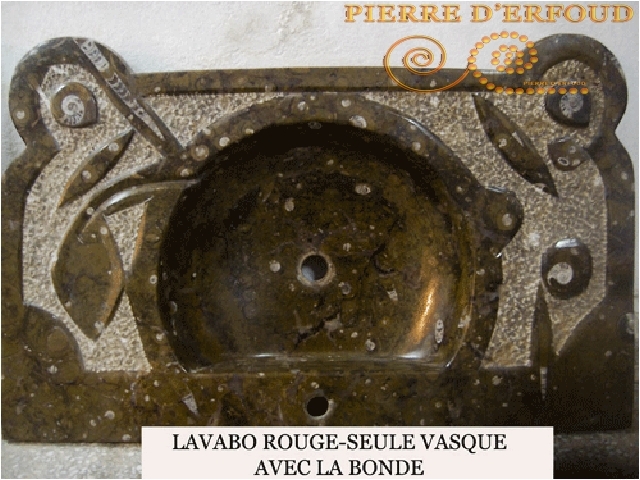 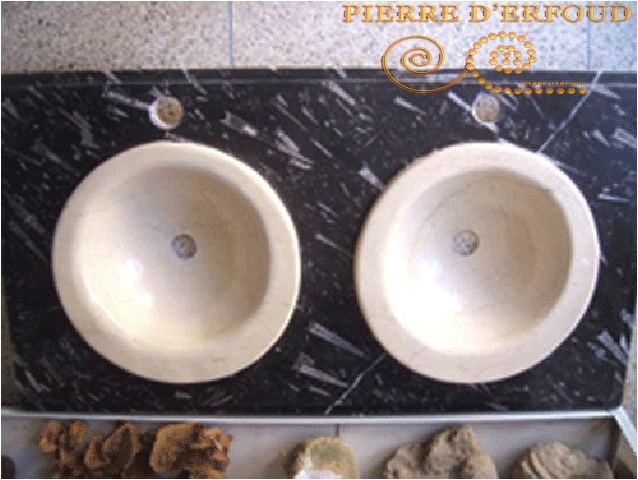 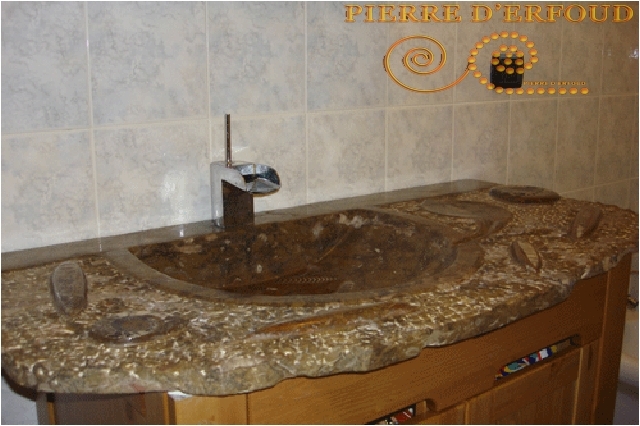 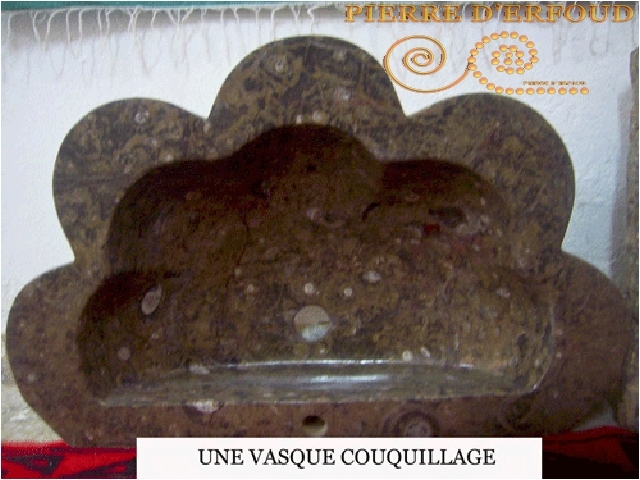 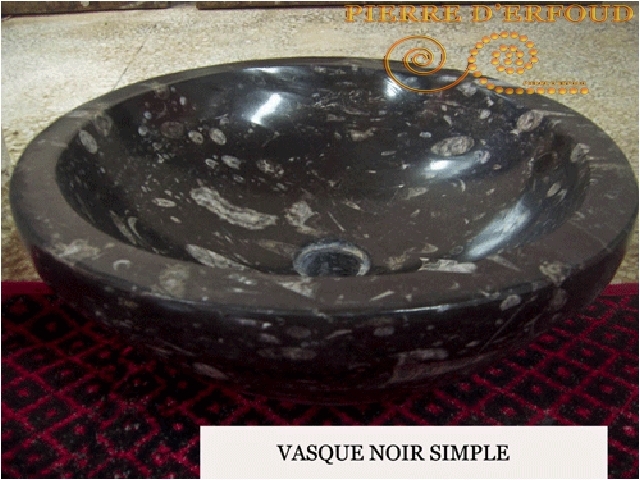 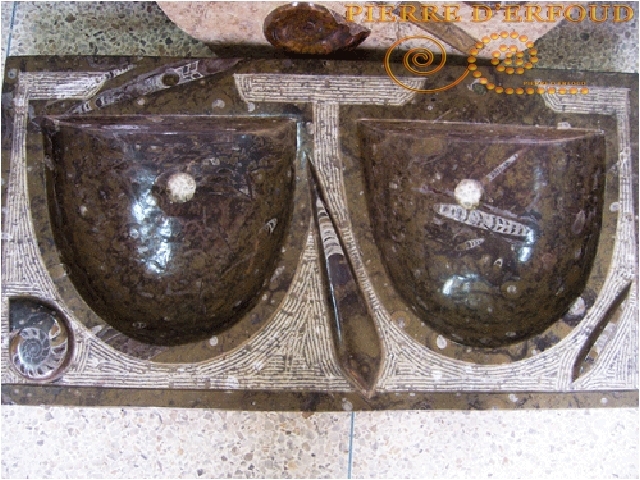 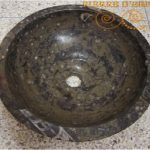 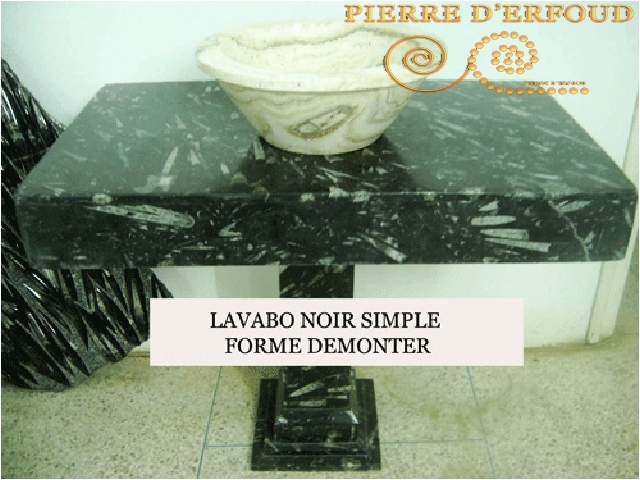 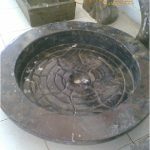 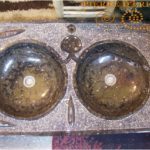 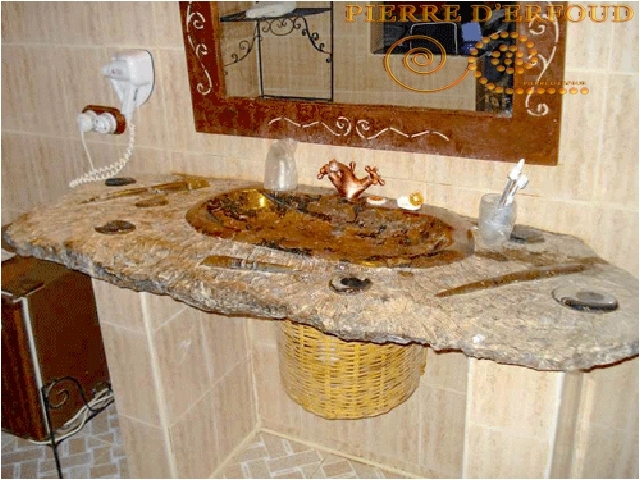 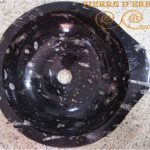 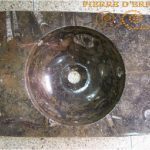 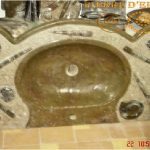 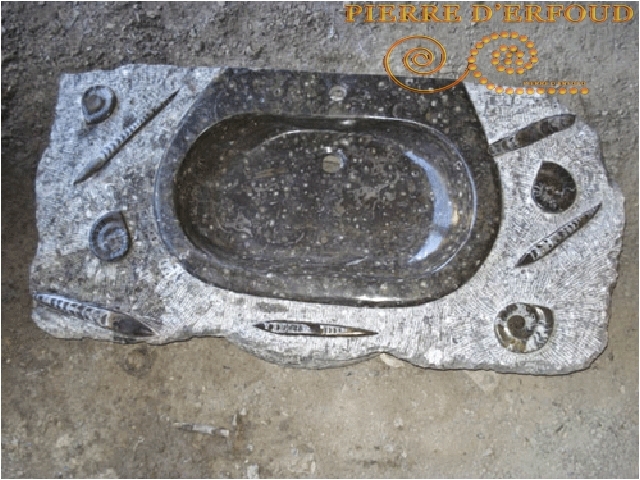 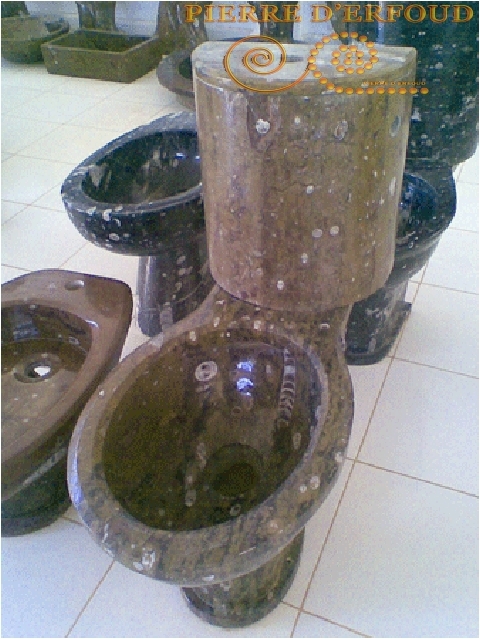 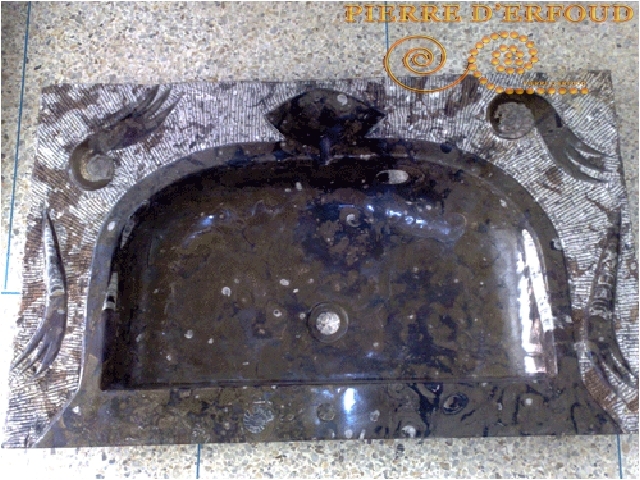 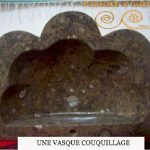 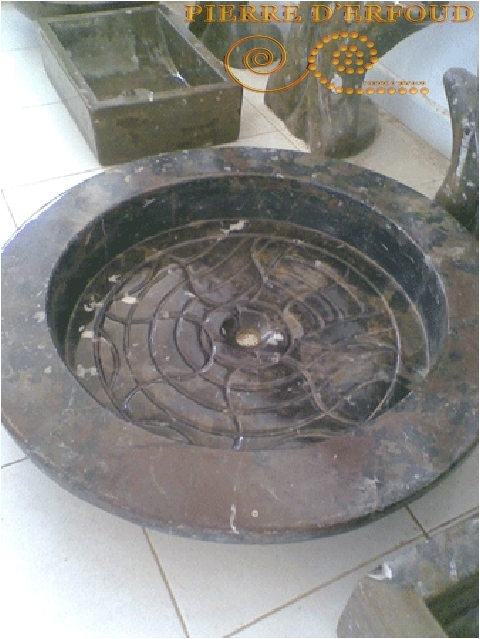 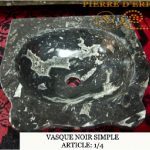 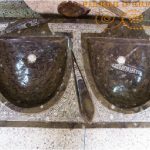 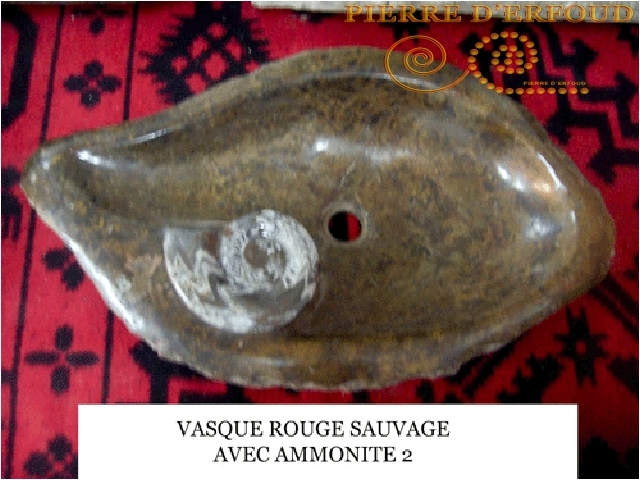 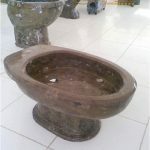 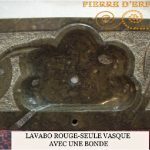 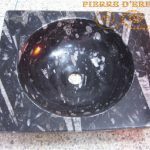 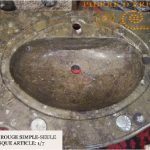 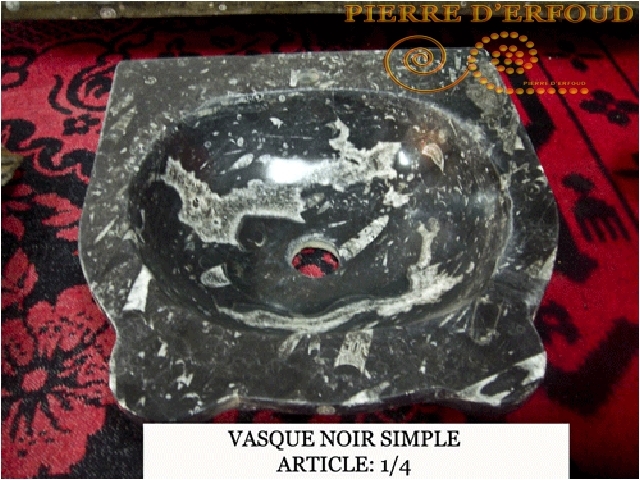 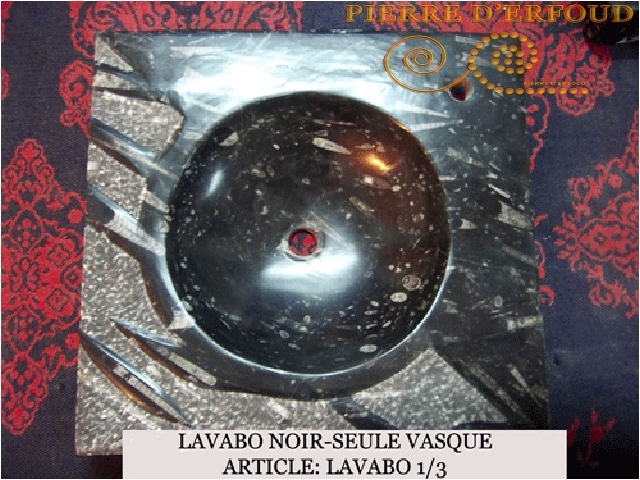 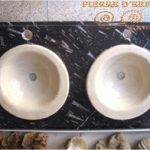 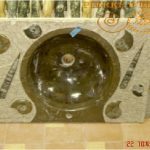 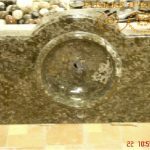 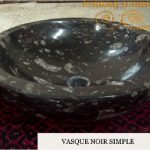 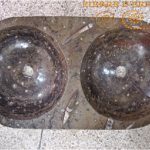 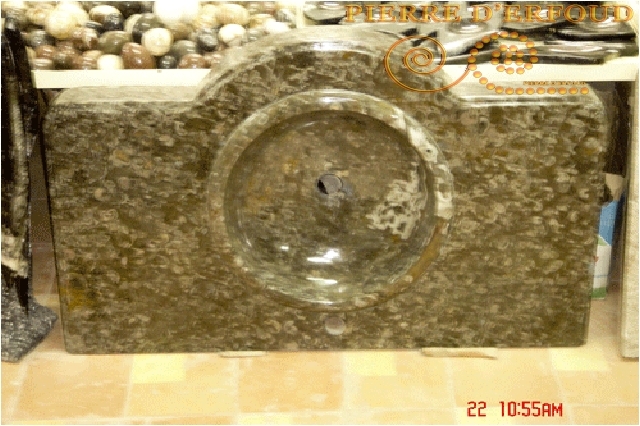 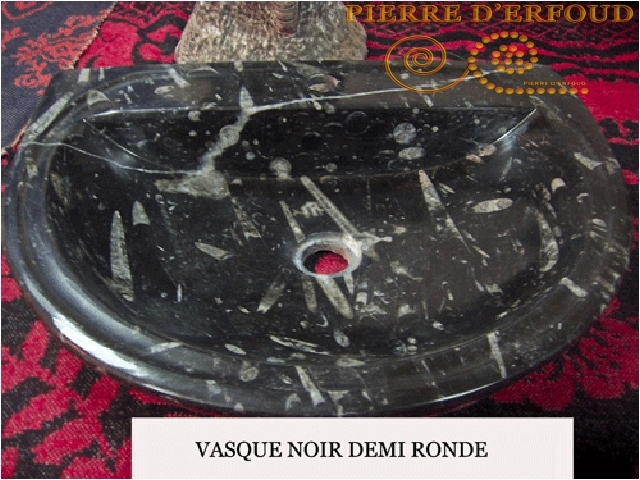 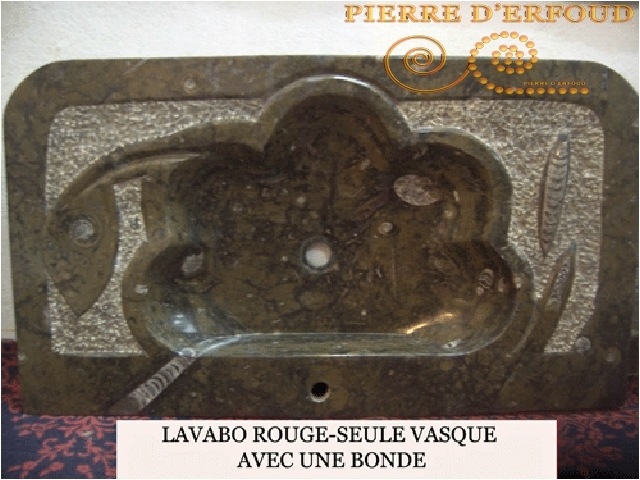 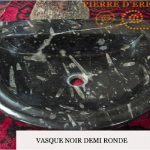 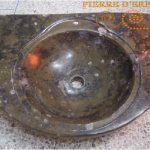 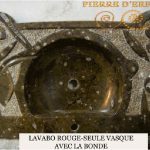 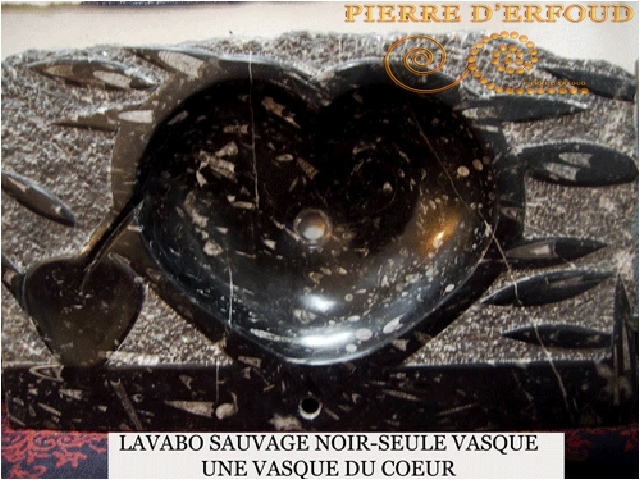 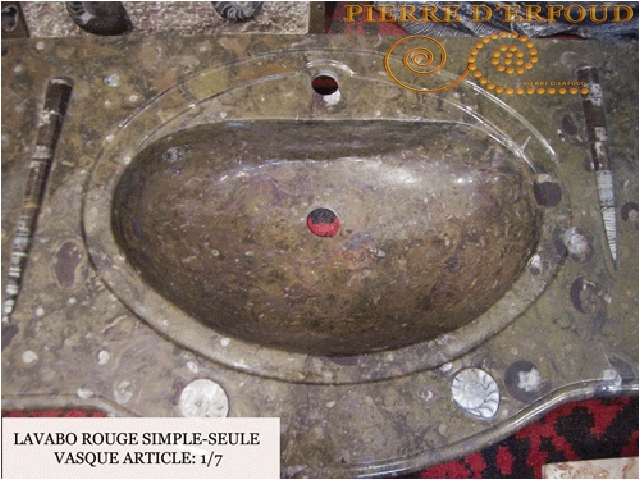 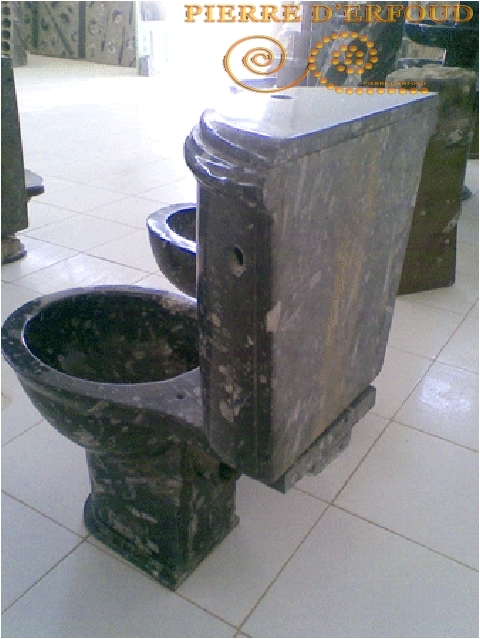 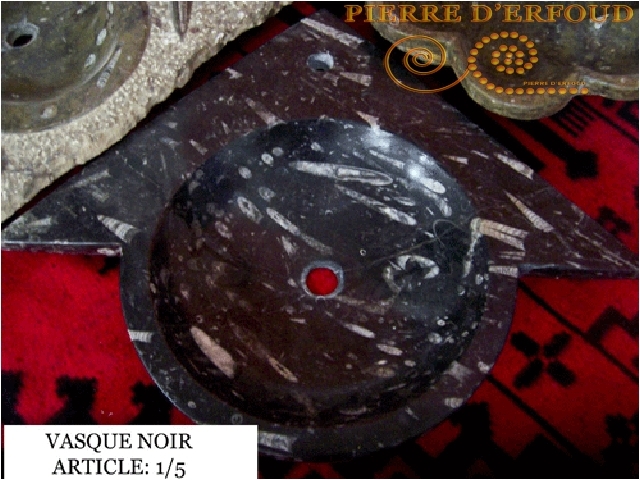 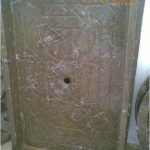 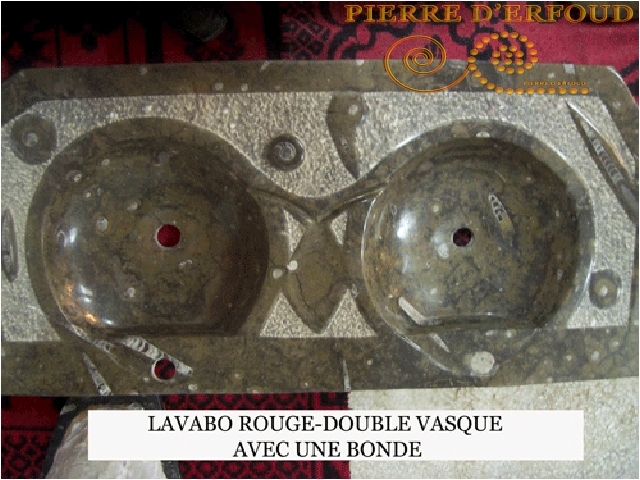 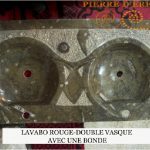 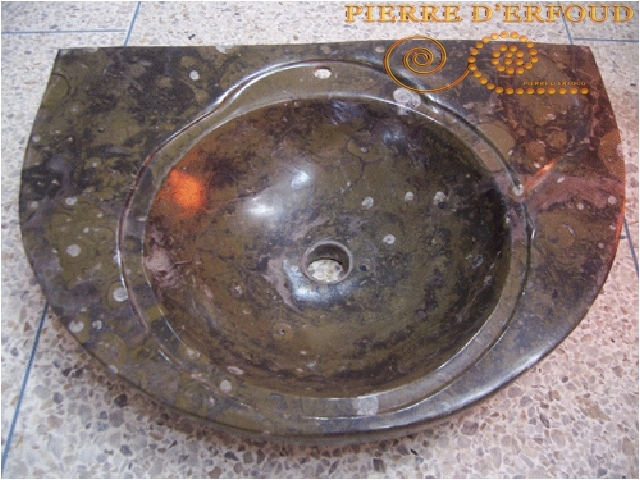 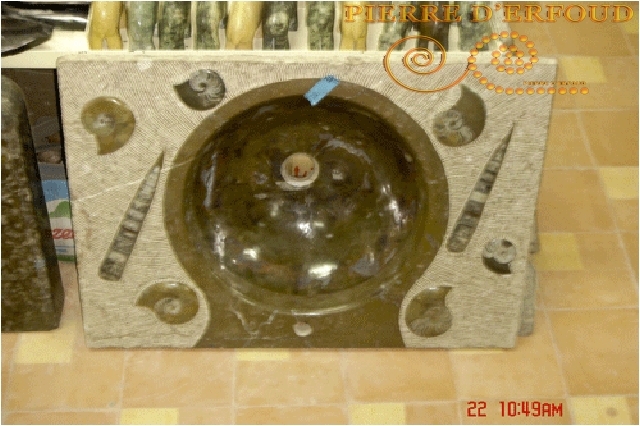 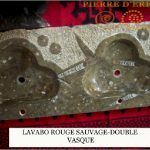 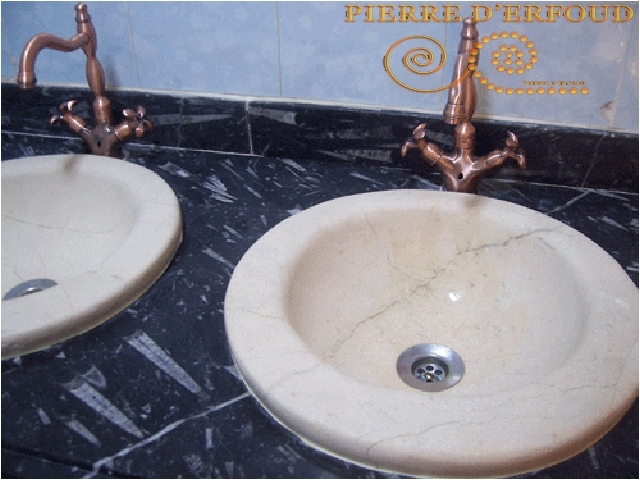 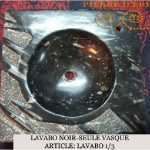 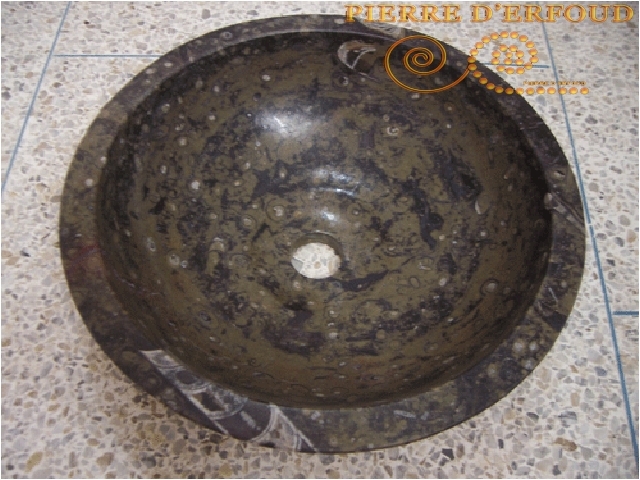 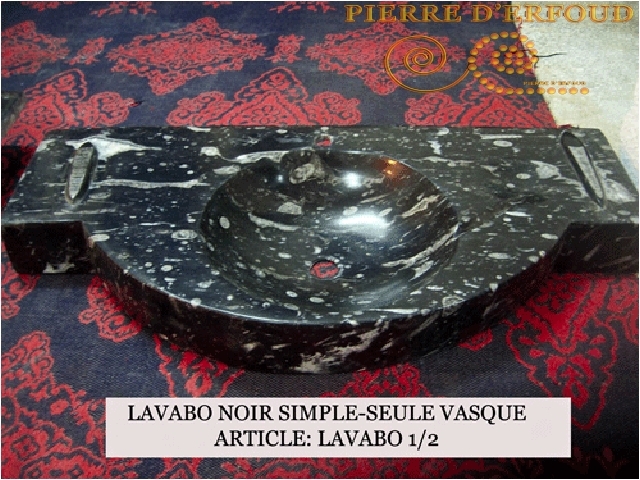 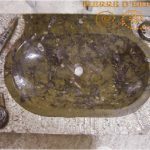 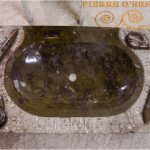 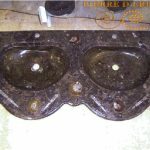 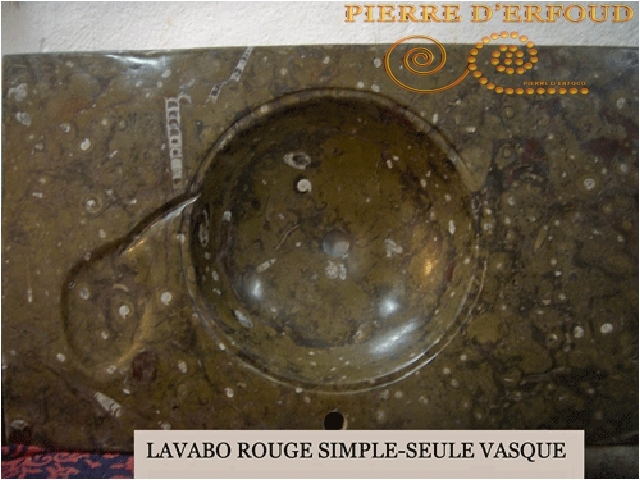 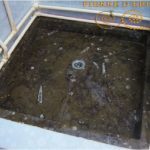 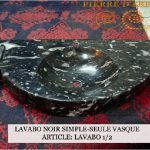 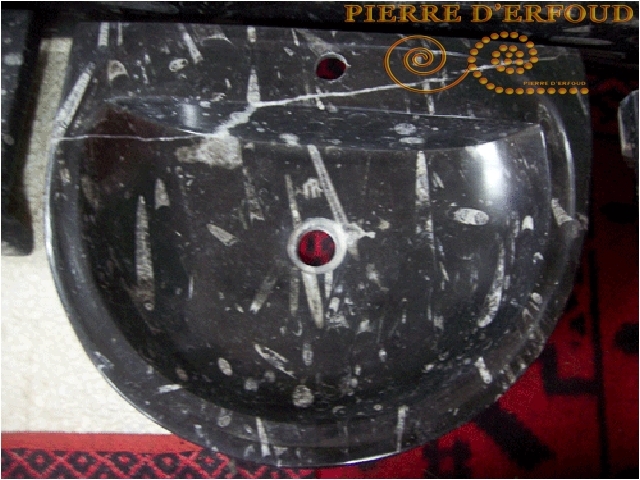 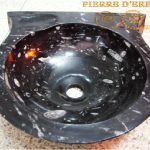 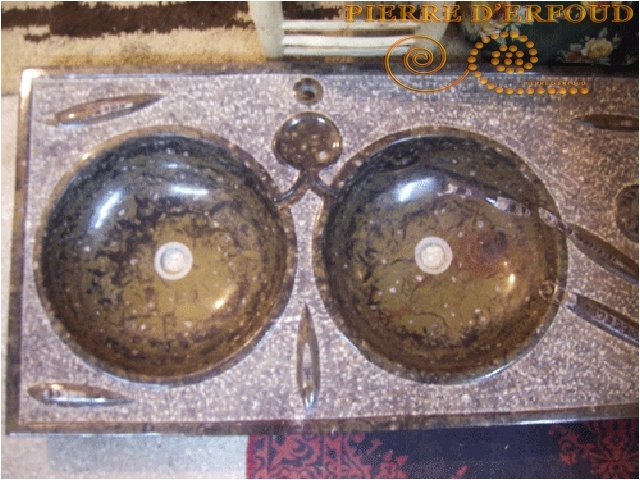 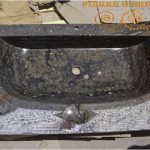 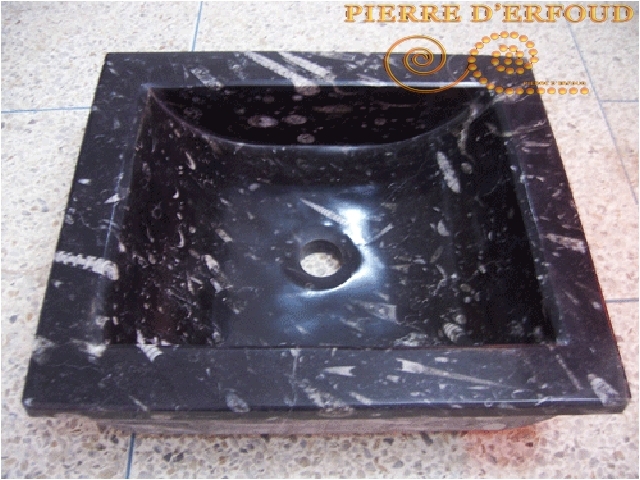 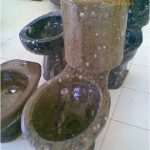 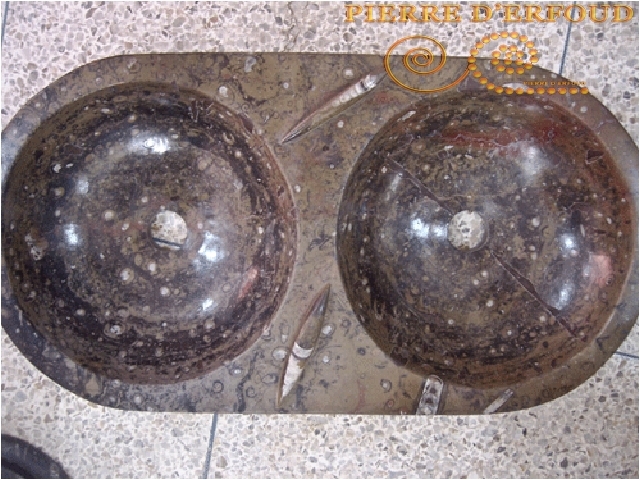 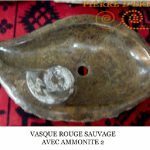 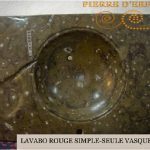 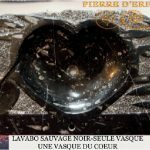 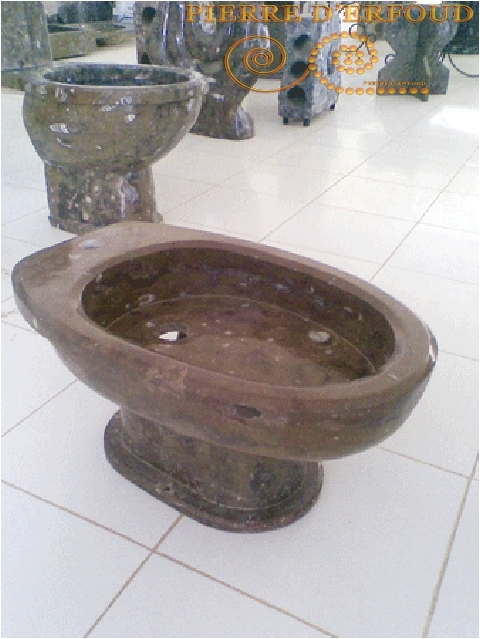 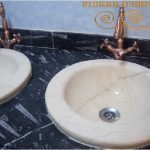 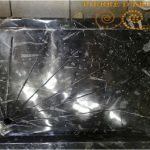 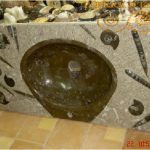 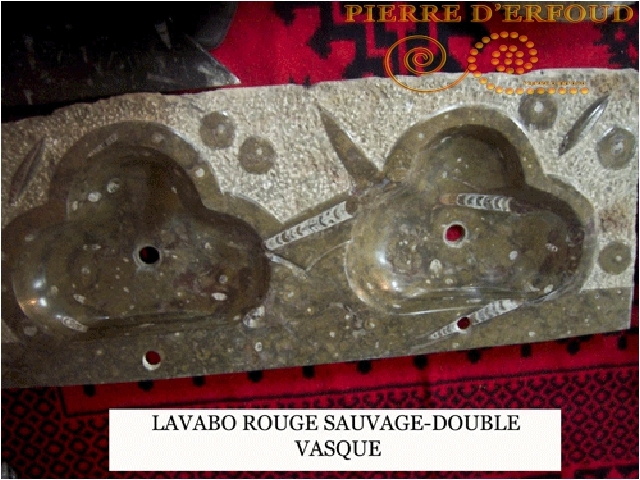 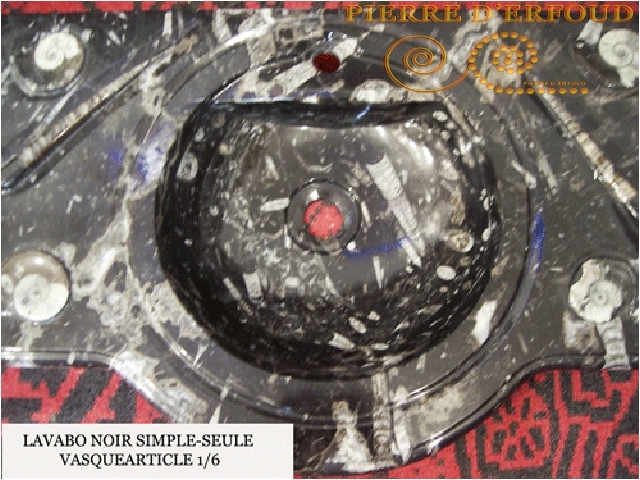 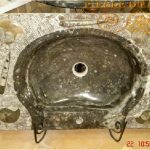 There are many types of washbasin available, with various shapes and sizes.